Note that using a sworn translator is no guarantee of linguistic quality. There are many excellent translators who have never applied to be sworn, simply because the nature of their work does not require it. 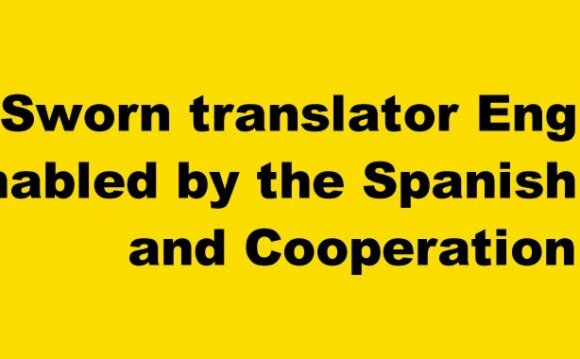 It is important to know the following with regard to sworn translations. The Sworn Interpreters and Translators Act (Wbtv) has been in effect since 1 January 2009. According to the Act, sworn translations may only be provided by translators who have been registered in the register of sworn interpreters and translators (Rbtv). A large number of our translators have been recorded in the above-mentioned quality register, so that sworn translations are provided in accordance with legal requirements. What sort of documents have to be 'sworn'? Translations of documents relating to the civil registry (birth certificates, marriage certificates, etc.) will usually require the services of a sworn translator. Other documents that must be 'sworn' include (title) deeds, school certificates, degrees and diplomas, affidavits, witness statements and court rulings. There are no set requirements for producing a sworn translation, but the translator must ensure that the translated text can be compared and 'verified' against the original. This generally means that the form and layout must remain as close to the original as possible. If there are any features of the text that cannot be translated (such as a seal or signature), the translator will make a note between square brackets: [signature]. Interestingly, there is no legal requirement for the translator to add his or her own stamp, but in practice all sworn translations bear a stamp since omitting it would rather defeat the object of the exercise! DBF Communicatie can also arrange for a translated document to be 'legalized'. A legalized translation is a sworn translation which is then submitted to the relevant authorities (usually the court at which the translator is registered or a government ministry) to be validated. The authority then confirms the validity of the translator's signature and his or her entitlement to produce a sworn translation. The Raw and the Cooked is the first volume from Mythologiques written by French anthropologist Claude Lévi-Strauss. The original French title was Le Cru et le cuit.